I have this weird thing about not wanting to join in something just because it’s popular (though admittedly I still do in some cases – I just don’t like that I do). It took me years to read Harry Potter because it was such a craze. I wanted to form my own opinion. I saw many of the movies before reading the books – and if you know me, that’s backwards. It wasn’t until book 7 was about to be released that my friend Alison convinced me I need to get with it already. When I started, you better believe I sprinted through books 1-6 in record time and kept going every year. With the word of the year, I respect it and have always thought it was a nice idea. I completely understand why it is done. Not only is it motivating, it provides one a grounding to see the whole picture in times of plenty and want, in times of quiet and times of turmoil. Using that word and more importantly, how God is using that word and theme, is of great advantage to a journey and a focus. I wholeheartedly understand. Still, I prefer to stay back. It’s hard to describe. There are flakes falling softly outside. The first snow of the season. It will be a dusting at most. Ever notice how quiet everything is in snow? The world muffles the cacophony and you’re immersed in silence and calm. There is a scientific reason for it of course. Because snow is porous (more space between the snowflakes when accumulating together), it muffles the sound. The science is lovely and the calm is comforting. Taken today, personal photo, backyard. I am thankful for how my back sliding door is in a great position so when I pull back the curtains, I have a peaceful view of the trees, falling precipitation and yard. We have had days of significant rainfall. Windy, thunderstorms, hail. It’s the recipe for a cozy day indoors. I took a “mental health” day today. There were things I needed to get done (laundry, grocery shopping, laundry, changing my name over to my married name, laundry) but I tried not to make any promises I couldn’t keep and I tried to allow myself the introvert time in which I could soak. Have you ever prepared for a move or begun Spring Cleaning and come across something you’d almost forgotten existed? You brush off the dust and for a split second may even forget how to use it — like an old instrument (I’m looking at you, Elementary School recorder). It’s been….a long while. I’m honestly going to be incredibly surprised if there is even a “you” reading this. I may have lost the small pairs of eyes I did have, due to this belabored absence. So much has occurred. Beautiful things. Excruciating things. Life. There is cognitive dissonance which exists when a writer ceases to write. For any period of time, not participating in one’s passions can cause a myriad of reactions, one of which is the rationalization that “I don’t have anything worth saying”. It devalues that which it once held as highest esteem – most cathartic and noble of efforts. It is a subversion of reality. Soon, I’ll fly to a state in which I’ve never been. Then I’ll be a passenger in a car to another state I’ve never been. I’ll be one in only 40 women in a secluded spot, staying in what used to be a convet. A holy space that will be the same for us. I’ll get to hug a woman I admire whom I, in blessing, finally met face-to-face over a year and a half ago. I’ll get to finally embrace a kindred spirit for the first time, where we’ve been connected across the time zones for years now. Writing can bring those who share passions, so very close. 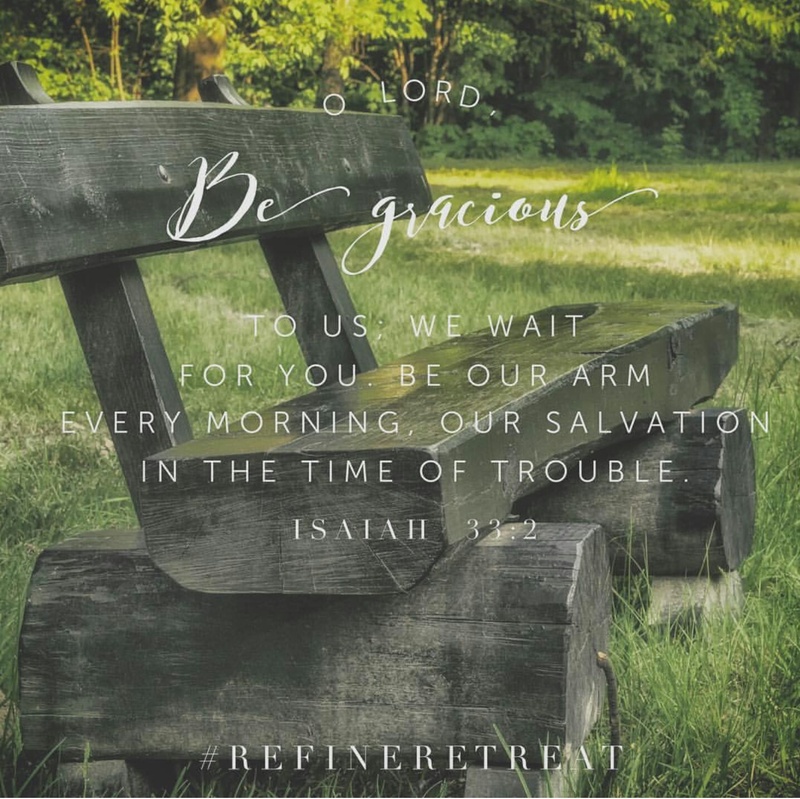 Refine, the retreat, comes in two weeks. My insides stir in anticipation for the quiet, the connection, the wisdom seeking and worship pouring. I crave these times. Set aside for journaling, fellowship mixed with introvert hours – perfect for growth and recuperation. Kris has hosted these days before and this will be my first time joining. I love the vision for keeping it small, intimate, low-key and filled with Spirit. My heart longs for that environment. He awakens me in such spaces. Though His pursuit is unceasing – in the every day of life as well as the carved out weekends. I am not truly myself when in dry seasons of writing. I am the only one to blame for those spells. Yet He graciously gives me times to return. And I sit in thankfulness. So soon I go. We gather. He moves.